If you’re not lucky enough to have naturally bushy brows and luscious lashes then tinting is a quick and easy way to make your eyes look larger and lashes longer, without the need for makeup. Blondes, redheads and those with a fair complexion particularly benefit from the added definition. Even dark hair gets lightened by the sun, with the ends and lower lashes often barely noticeable. Tinting is great if you lead an active lifestyle, whether that’s playing sport or just wanting to look good in any sort of weather. Dyeing is also great for anyone not keen on or too busy for cosmetics, as there’s no need to use mascara or to pencil in your eyebrows. Semi-permanent make-up can also include eyeliner, removing the need for eye make-up all together. 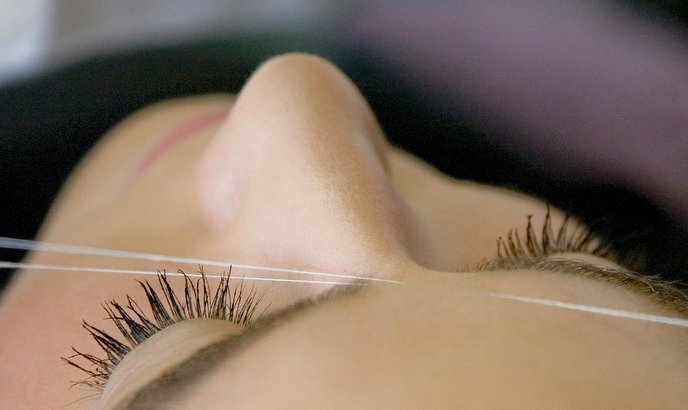 Treatments are available in most beauty salons and some hairdressers and often offered alongside facial hair threading and lash extensions in many department stores and by pop-up stands. ###WHAT TO EXPECT? Thanks to a certain Miss Cara Delevingne, big brows are back in vogue. Tinting makes your brows look thicker, darker and longer, and the added structure adds volume to sparser brows. Imagine waking up and not needing a lick of powder, pomade or pencil - dreamy, right? If additional reinforcements are needed you can apply a regrowth serum or look into HD (High Definition) Brows: a more intensive 18 month programme which involves tinting and trimming, but not threading or tweezing, to encourage the hair to come back. Tinting takes around 15 to 20 minutes, and about half an hour if you’re having your brows and lashes done together. The effect lasts for around 6 weeks - the time it takes for the hair to grow or fall out. A strong look will require a more frequent maintenance. You can choose a colour which compliments or contrasts with your hair and eye colour and skin tone. Black, brown and blue are the most popular and come in a variety of shades. Black is classic, brown is the most natural and can always be enhanced for a special occasion with mascara. ‘Blue’ is actually a blue black that's darker than the classic black, and makes the eyes pop without you looking like you’ve just arrived from the 1970s! Tinting is great if you lead an active lifestyle, whether that’s playing sport or just wanting to look good in any sort of weather. Dyeing is also great for anyone not keen on or too busy for cosmetics, as there’s no need to use mascara or to pencil in your eyebrows. ###GOOD TO KNOW You’ll need to have a consultation at least 24 hours in advance and to take your contact lenses out to have the treatment - and to keep these out for a few hours after. A patch test will be done on your inner arm to check that the dye doesn’t cause a rash or inflammation. Specialist hair dye is used which is semi-permanent and suitable for these sensitive areas. This can be washed out and wiped off with water immediately after they’ve been applied if necessary. Cotton pads are placed on your eyelids and Vaseline applied to the area around your brows to prevent staining. Your clothes will be protected using a gown or a towel. If you do experience any irritation, tints made from vegetable fats can be used instead of the standard dye and peroxide. 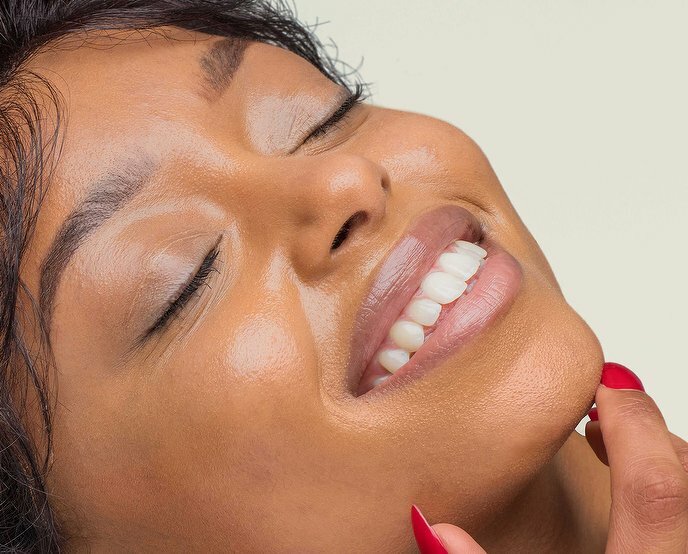 As well as the aesthetic benefits, getting your eyelashes and eyebrows tinted means you’ll say goodbye to panda eyes and black marks on the pillow, and no longer be confronted by mascara smudges or a bare face when you look in the mirror. Tinting can also save you time and money. Accordingly to the Daily Mail, women buy an average of five mascaras a year with these costing anywhere from £5 to £25 each. Mascara also has a limited shelf life as it dries out, causing clumping, and lashes to fall out with it being regularly exposed to air. Tinting also reduces the risk of an infection by using a disposable brush wand and a new wand for each brow and eye. Long live lashes!